Our REALTORS® can help you see inside every Redding Township, Jackson County, Indiana house listed by any real estate agent or broker. When you find a home you'd like to see, submit a showing request or call us. 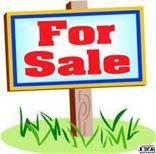 Get Redding Township automated home sale updates. This is a great building site just minutes from town. The property offers a rural setting with lake access as well as being easily accessible to highway 31, US highway 50 and Interstate 65.